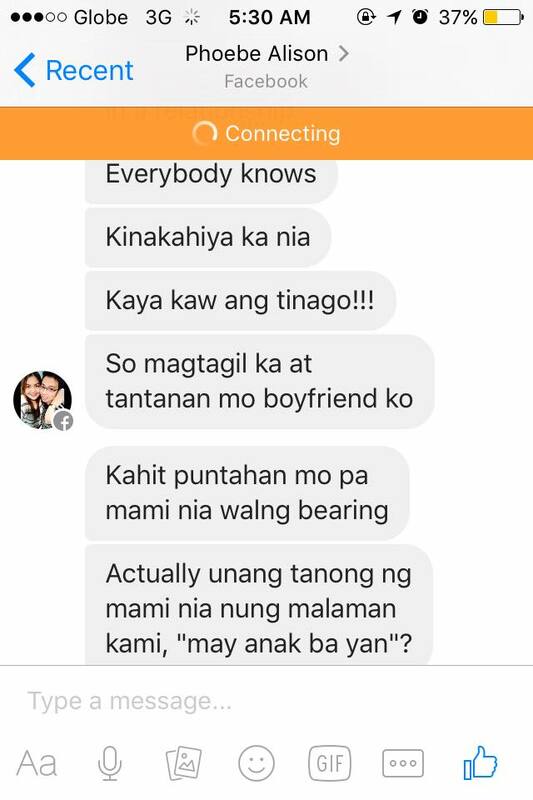 Featured in the trending #MaglulupaSerye are screenshots of a woman's Facebook conversation with the current girlfriend of her ex-boyfriend. 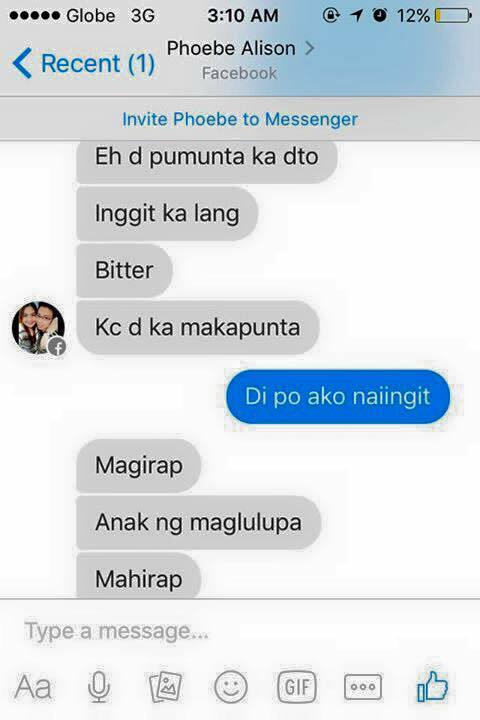 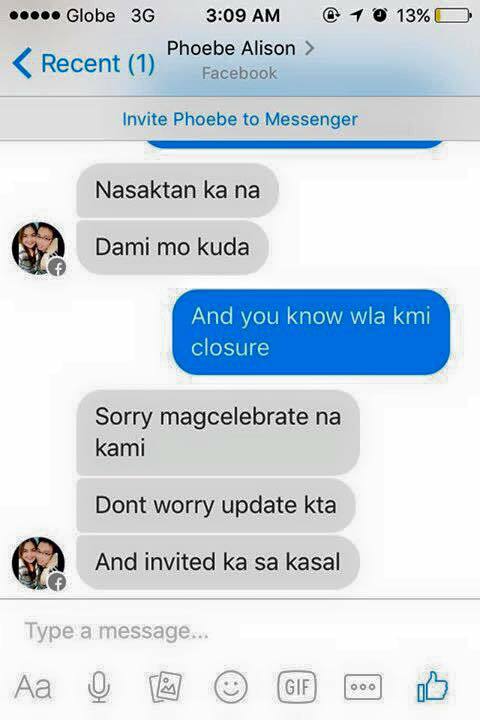 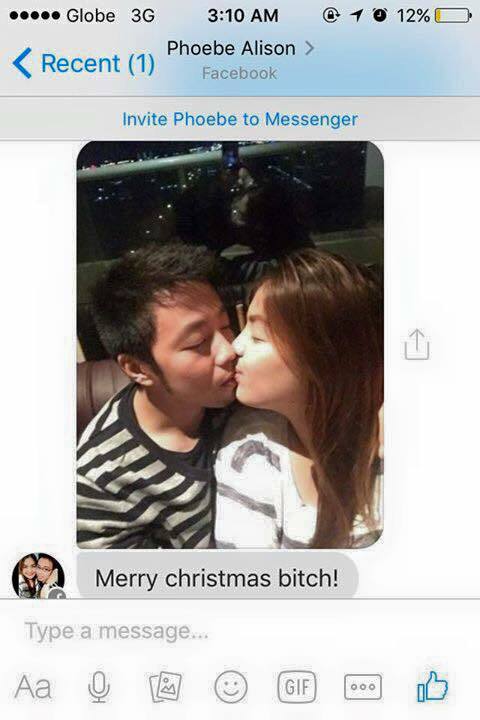 Anette LM from Makati said her ex's new girlfriend sent rude messages to her on Christmas eve. 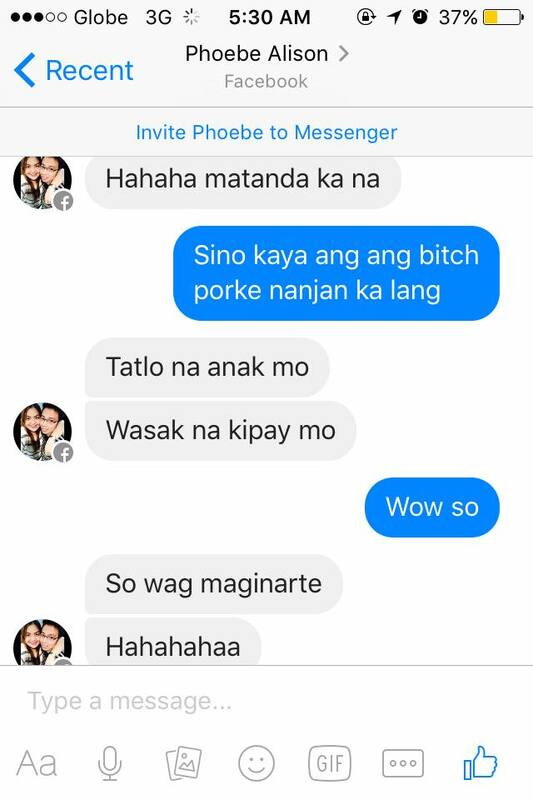 She didn't want to post the screenshots but she was hurt when the other party called her names. 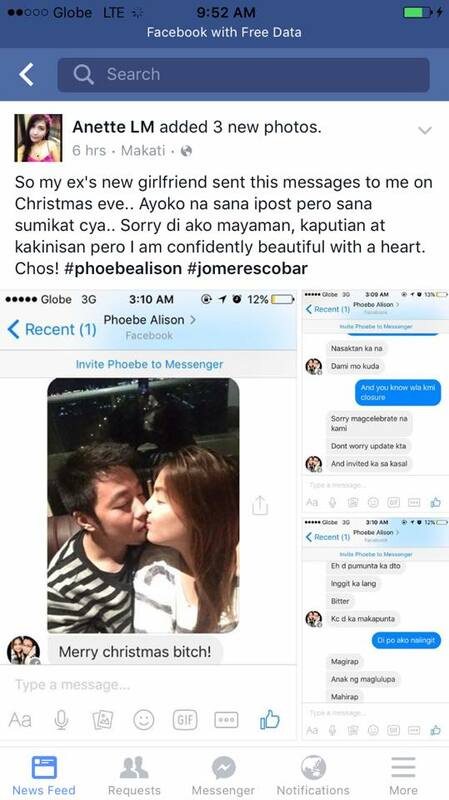 The new girlfriend also posted teasing remarks about her age and her intimate body part, saying her vajayjay has been wrecked because she has three kids already. 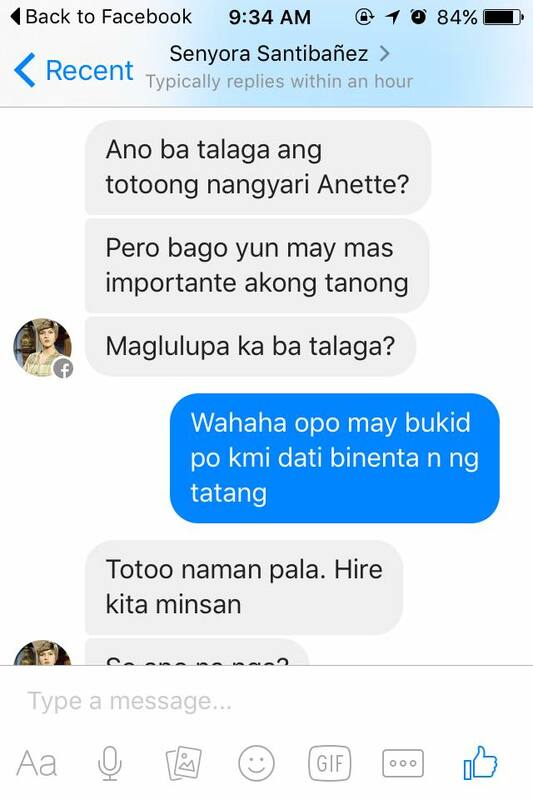 Anette replied calmly and just kept her cool. 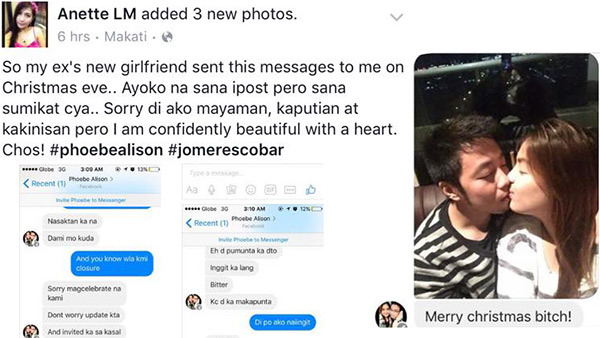 Her story became a trending topic online after social media personality Senyora Santibañez shared the screenshots on her timeline.